Dale Steyn was rested for the T20I series against Pakistan and so the speedster had been watching cricket at his home. But, a Pakistani fan tried to troll the South African right-arm fast pacer for his performance in the test series versus Pakistan on the micro-blogging site, Twitter. Instead of ignoring the troll, Steyn chose to destroy that fan in the war of words by giving an epic reply to his tweet. Dale Steyn had been dealing with a lot of injuries in the past and recently made his return to international cricket. The fast bowler has been the spearhead of the Proteas bowling attack since long. Also, he performed well for the team after making his return. So, in order to keep him injury-free and match-fit, the South African team management decided to give him some rest by not including him in the T20 squad against Pakistan. 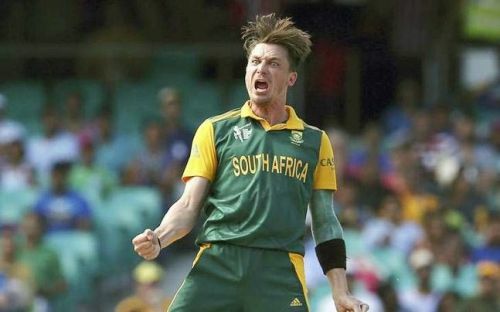 A lot of cricket fans praised Dale Steyn for his reply on Twitter while on the other side, South Africa defeated Pakistan in the first T20I yesterday and the two teams will clash in the 2nd game of the three-match series tomorrow.